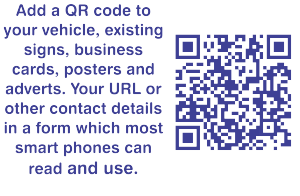 I have been working on techniques to cut QR codes in vinyl, so that they can be applied to vehicles, existing signage, or wherever a QR code is needed that is suitable for cut vinyl. I have developed two techniques for this. 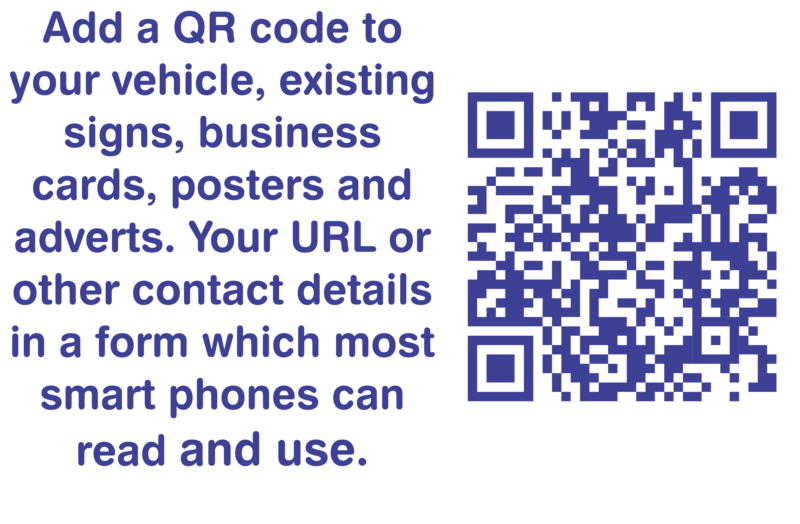 Firstly, I can use one of the many free websites that allow me to generate QR codes, such as http://goqr.me/. 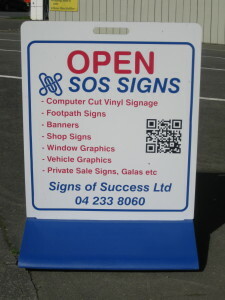 The QR code from these sites can be saved to your computer, usually in a .png format. I use Corel Draw to generate my sign images, and Mimaki fine cut to create the cut files for my Mimaki cutter, but the same principals work for most software/cutter combinations. So I take the .png image and import it into Corel Draw, and then use the bitmap trace function to do an outline trace in line drawing mode to create an outline of the QR codes. Corel Trace (or the trace function in Corel Draw depending on the version) has the option to group traced objects by colour, which I use to make life easier later. The trace criteria are pretty simple, as we are dealing with a black and white image with all straight edges. I reduce the number of colours to 2, so that the anti-aliased pixels are not produced as grey tones. When the trace is done, back in Corel Draw I remove the white objects (the background is white so they are not required). I change the colour of the QR code to red, and then compare it to the bitmap underneath, and then with the bitmap on top to make sure there are no incorrect trace lines. Put the bitmap into a separate layer so that it can be ignored when the object is cut. Secondly, I have recently subscribed to Corel Draw X6, so I can use the QR code facility in Corel. This is simple to use, just use Edit/Insert QR code, choose what the QR code is and enter the text. In the QR Code object manager you can select the option that welds the pixels, as this will make it easier to cut and weed later (but steps 3 and 4 below do the same thing). The QR code is generated automatically. To cut the QR code there are a number of steps required. Use Arrange/Break QR Code apart to break down into several component parts. This will mean it is no longer a QR code but a series of “curves” that look like a QR code. It can be cut in this form, so the rest of the steps are optional. Use Arrange/Ungroup all to break the groups down into individual items. Select all the items except the white rectangle bounding the whole thing, and use Arrange/Combine to create one curve, which combines the registration marks with the pixels. With the curve created above selected use Arrange/Shaping/Weld to join adjacent squares to the registration marks so that the whole QR code can be weeded easily. Change the object to no-fill and the outline to hairline to see the cut line you have generated. To make weeding even easier I use the Mimaki function to add weed lines, but I do this carefully so that it does not confuse the cut image too much. 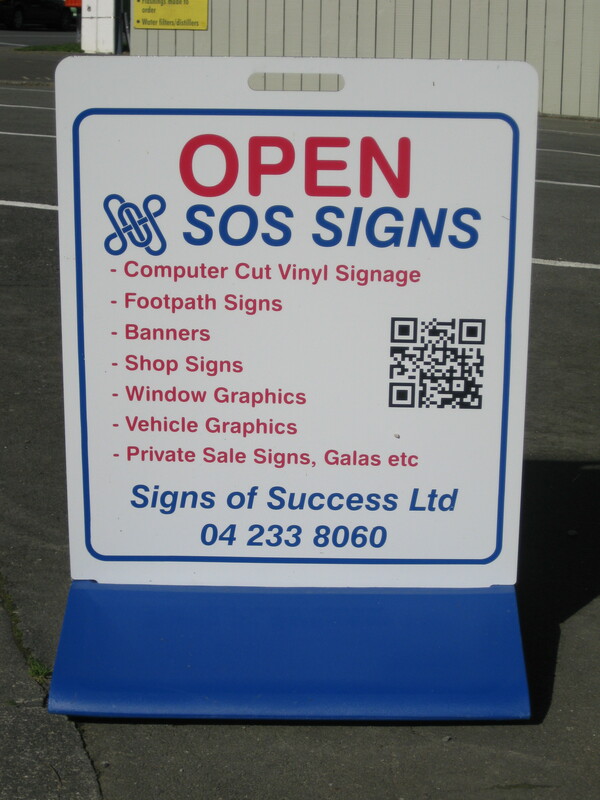 If you would like one of these ready to apply to your vehicle or signs, Contact Me to enquire about one. If you are in the Porirua NZ region, call in and see me!